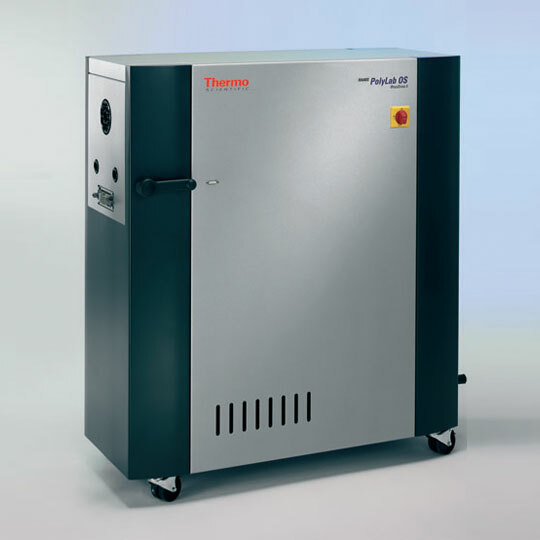 The Thermo Scientific HAAKE PolyLab OS is a modular torque rheometer platform for process engineering applications. The “OS” stands for the fundamental platform concept – that of Open System, allowing a number of standardised sensors and systems to be connected to if for optical, viscosity, and spectroscopy measurements. The HAAKE PolyLab OS is designed to conduct mechanical characterisation of fluids or solids through deformation, shear or stress at defined environmental conditions. The HAAKE PolyLab Open System (OS) is an innovative torque rheometer platform designed to optimize process engineering applications. Data for melt characteristics, dynamic viscosity under shear load and the effectiveness of additives, heat and shear stability are readily attainable with his system. The core technology is based on an open industry standard, allowing sensors and systems to be connected for optical, viscosity and spectroscopy measurements. The modular HAAKE PolyLab can be quickly and easily adapted to the requirements of a specific application. This is enabled by a standardised CAN Open Bus for internal communication and a USB interface for connection to a PC. The HAAKE PolyLab OS can be used to perform kneader measurements and extruder experiments on polymers, ceramic mixtures, rubber samples, pharmaceuticals or foods. After filling the mixer or extruder and starting the series of tests, the operator can leave the equipment and perform other tasks. The status of a test can be called up using a web browser or organiser regardless of location. The whole sequence of experiments is defined and executed step-by-step in a software procedure. Errors, alarms or messages requiring the attention of the operator are displayed on all monitors. Polymers – Processing related data such as melt characteristics, the effects of additives, temperature and shear stability as well as dynamic viscosity during shear are of great importance to the development of innovative polymers. Process simulation in the form of compounding and extrusion of rods, profiles or films combined with rheological or visual measurements, assists in optimising procedural parameters to create samples for testing. These samples can also be used to conduct checks on incoming and outgoing goods for viscosity, dispersion or plastifying characteristics. Rubber – The impact of carbon black on the cross-linking characteristics of a rubber compound and the dispersion, vulcanisation and flow properties of rubber are key to product quality in the rubber industry. Optimising the end product mixing times is important to ensure efficient use of production plants, and also to successfully launch competitive products into the market. Ceramics – Rheological measurement data relating to dispersability, ability to withstand injection moulding and flow characteristics of ceramic injection moulding compounds and pastes provide the ceramics industry with information to optimise products. Other application and industry areas include Food and Pharmaceutical. Physical Test Methods Extensional Viscosity using patented die geometry with an extruder or melt pump for quantification of the shear viscosity and extensional viscosity and correlates well with die swell. Mw, MWD Based on the rheological spectra (G’G”=f(w)) and with a model theory calculation of the average Molecular Weight Mw and the Molecular Weight Distribution MWD can be determined online and direct in the melt. G’G”=f(w) The mechanical spectra are measured with an axial oscillating rheometer in the polymer melt. The sensor is mounted in a pressure port and uses the measurement principle of oscillating squeeze flow. Colour Measuring colour directly in the melt and controlling it without running samples in the laboratory is possible using a fibre optical probe in the melt which is connected to a UV/VIS spectrophotometer. Software allows correlation with the laboratory colour data.